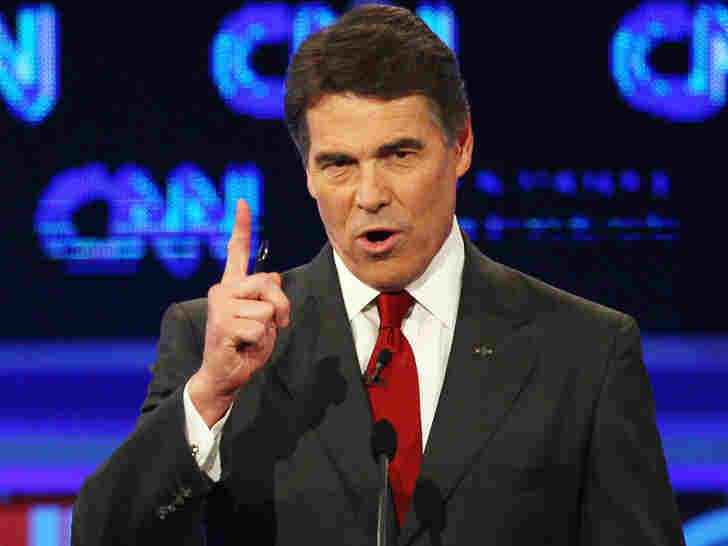 Perry Donor's Radioactive Waste Site Deal Scrutinized In his career as governor of Texas, Rick Perry has raised about half his campaign cash from just 204 big donors. One of them, Harold Simmons, has given Perry roughly $3 million of support. And in recent years, Simmons' company has gotten a license to operate a radioactive waste site, despite environmental concerns. Explore the latest NPR coverage of GOP presidential candidate Rick Perry. Presidential candidate Rick Perry's ties to campaign donors came under more scrutiny this week when he was challenged during Monday's Tea Party debate. Perry defended taking a contribution from a drug company and then mandating use of the company's new vaccine. "I raised about $30 million, and if you're saying I can be bought for $5,000, I'm offended," he said. Actually, the drug company, Merck, has given Perry $28,500 overall. But that's still pocket change compared with what Perry's truly big donors have given. In his career as governor of Texas, a state where millionaires are plentiful and contribution limits are lax, Perry has raised about half his campaign cash from just 204 big donors, according to an analysis by the watchdog group Texans for Public Justice. And his administration has helped many of those donors, even when it comes to disposing of radioactive waste. Dallas billionaire Harold Simmons, shown here in his office in 2007, has given Texas Gov. Rick Perry roughly $3 million over the past decade. 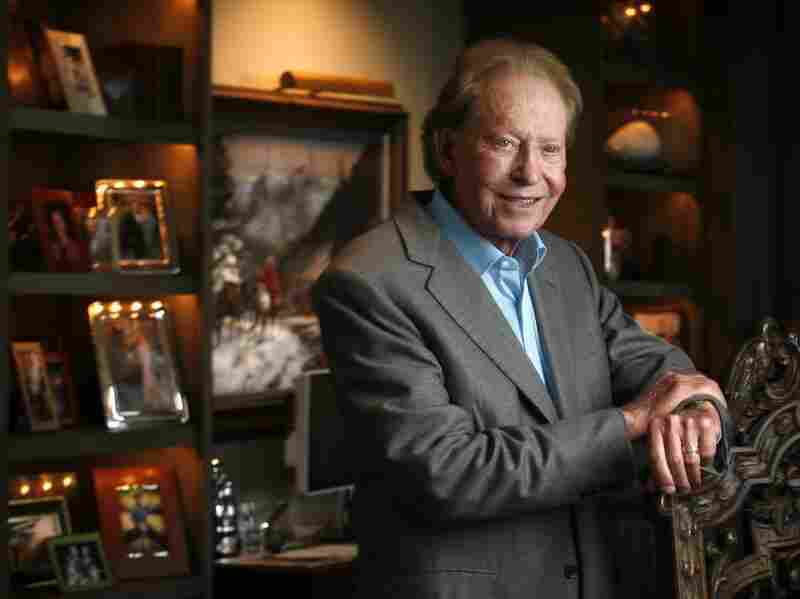 Perry donor Harold Simmons, an 80-year-old billionaire, is a political player. He gave millions of dollars to Swift Boat Veterans for Truth in 2004, financing ads that knee-capped Democratic presidential nominee John Kerry. For Perry, Simmons has anted up roughly $3 million worth of support over the past decade — some of the money going to Perry's campaign committee, other dollars going to the Republican Governors Association when Perry was fundraising for it. Simmons also owns Waste Control Specialists LLC, working in the heavily regulated industry of radioactive waste disposal. Craig McDonald, of Texans for Public Justice, says those two facts go together. "There has been no secret that Harold Simmons' direct self-interest lies in building, permitting and operating his hazardous waste dump and low-level nuclear waste dump in West Texas," he says. "And the wheels have been greased at every turn." In 2003, the Texas Legislature took the state-run radioactive waste program and made it a private monopoly for Waste Control Specialists. Simmons later bragged about the lobbying that accomplished that. 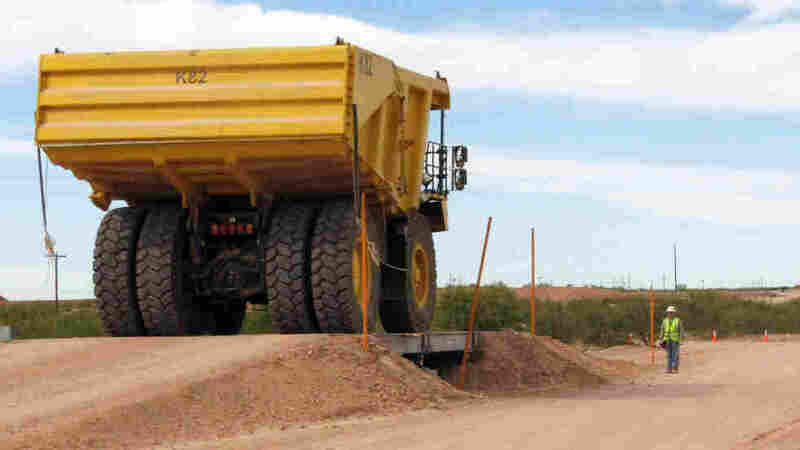 Waste Control Specialists owned the site in West Texas. But it needed an environmental review. A panel of eight state employees fended off corporate lobbyists and the Perry administration for four years to produce their report. "We knew from the beginning that this permit was intended to be issued," says Glenn Lewis, who was on the panel. "The realization that Harold Simmons was a top campaign contributor to Gov. Perry," Lewis says. Despite that, the panel said that radioactive waste should not be buried so close to big aquifers. "I am frankly surprised even now that a team of engineers and geologists, knowing what the political expectations were, still worked up the nerve to say, 'No, it's not safe,' " Lewis says. Next, Waste Control Specialists needed license approval from the Texas Commission on Environmental Quality. All three commissioners were Perry appointees. The commission chose to ignore the environmental review. One of the commissioners, Larry Soward, says complaints were pouring in. He thought a public hearing was called for. The other two commissioners said no. "They voted to issue the license without sending it to a hearing, and I voted against that," Soward says. Republican presidential candidate Rick Perry's ties to campaign donors have come under more scrutiny since Monday night's debate in Tampa, where he defended taking a contribution from a drug company and then mandating use of the company's new vaccine. In the end, the commission gave the go-ahead to Waste Control Specialists. The commission's top staffer joined the company as a lobbyist. Lewis quit his job. Soward didn't seek another term on the commission. Soward says he's still bothered by the lack of any public hearing. "I think that generations to come are going to have a real problem from that site that they're going to have to deal with," he says. Up to this point, Waste Control Specialists had been developing a small facility — one where Texas, one other state and the federal government could bury low-level radioactive waste. But a corporate report lays out a vision unique in this country: "one-stop shopping" for the entire nation's hazardous, toxic and radioactive waste. It would cover more than 20 square miles. At an oversight hearing last year, CEO Bill Lindquist said the business plan needs that nationwide scale. "It's the Cadillac of facilities," Lindquist said, "which is wonderful for the state of Texas, but it's very expensive, and the cost to construct it and operate it and license it is a lot more than what was contemplated in 2003." In January, the Texas Legislature said Waste Control Specialists can import radioactive waste from 34 additional states. Perry's spokesman didn't respond to requests for comment. Chuck McDonald, a spokesman for Waste Control Specialists, says the environmental concerns are exaggerated. "That is the most geologically tested plot of land on planet Earth," he says. Equally exaggerated, McDonald says, are the suggestions that Simmons' campaign money bought Perry's support. "The criticism of the governor — it's all unfounded. The notion that we've somehow benefited is laughable," he says. Back in 2006, Simmons told the Dallas Business Journal that one of the most influential things for business success is "the policy of the federal government."